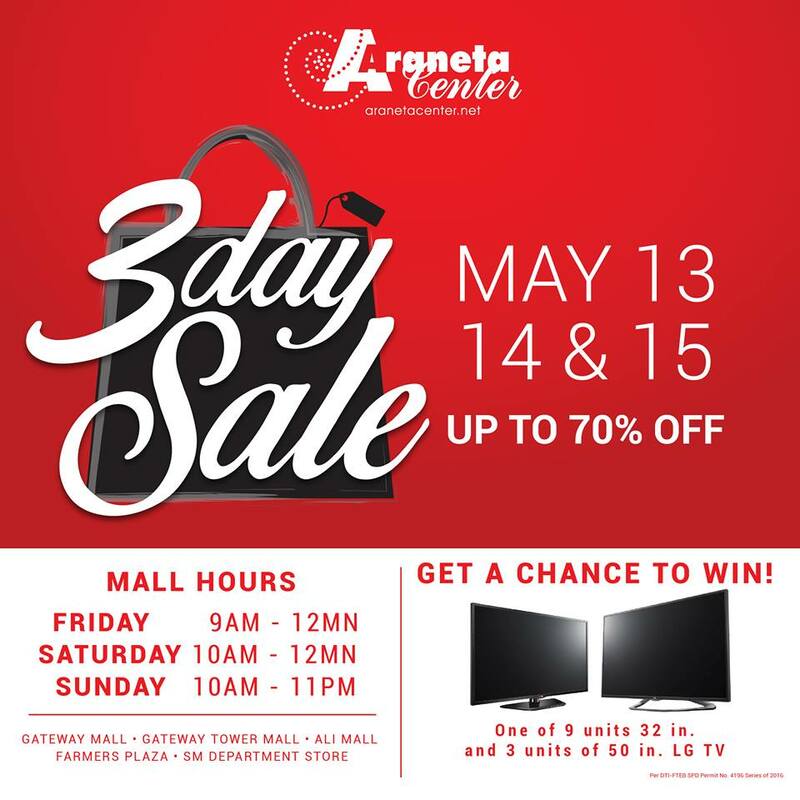 Pamper yourself with great finds this weekend at the Araneta Center 3-day Sale plus get a chance to win one of (3) 50” LG TV units & (9) 32″ LG TV units. Visit Gateway Mall, Ali Mall, Farmers Plaza & SM Department Store on May 13,14 & 15 and Enjoy up to 70% discounts. See you there!